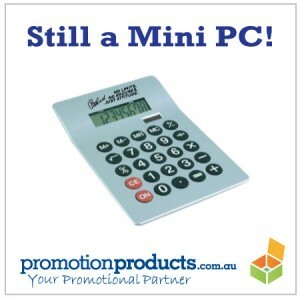 How many times in the last year have you needed to use a calculator? Chances are that like our office straw-poll, many times! In a busy commercial environment, we all have need to tote up figures, subract, divide & multiply. 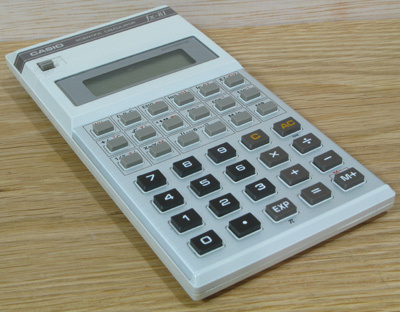 A now “vintage” Casio fx81″! And further back, we all remember our first calulator in school. In my case it was a Casio fx81 which was a very fine instrument, complete with “scientific” functions that I only ever used in Uni. Regardless, it was an entry to adulthood, having a swish calulating machine that made Maths easy and Physics a breeze. I’ve forgotten most of those numerical manoeuvres and the reasons behind them, but I can still type “8008L355” and make myself laugh – boys, huh? This entry was posted in business gifts, Desk and Office, Promotional Items, technology products and tagged office, technology by admin. Bookmark the permalink.